I’ve tried to make gnocchi a number of times. It is one of those dishes that can easily go wrong. When you cook them in a boiling water, it can go mushy and clumpy – disaster! I asked Daniel to make gnocchi for Valentine’s day a few years ago. I didn’t even go close to the kitchen that day, giving him a full responsibility. Yep, he used self-raising flour and gnocchi pillows blew up in a boiling water. Massive failure! We didn’t end up eating gnocchi that day. It made me laugh and that’s probably his last time he cooked for me. Kitchen is my area now. Puree cooked pumpkin until there is no lumps. Add egg, flour, nutmeg and salt into the pumpkin puree, stir to combine gently, cover it up and rest for 10-15 minutes. Then place the mixture on a floured surface and roll the dough into a long sausage and cut into bite sizes. Gently press each gnocchi with the back of the fork. 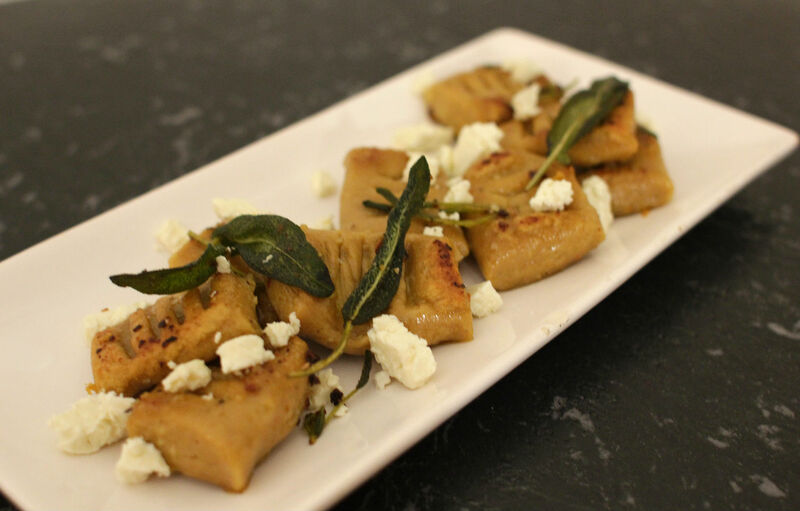 Cook gnocchi in a boiling salted water until they rise to the surface and then quickly transfer them to cool water. Heat garlic, olive oil and butter in a large pan over medium heat and add drained gnocchi and sage into a pan and cook until golden brown. Season with salt and pepper. Deglaze the pan with a squeeze of lemon and transfer to a serving plate. 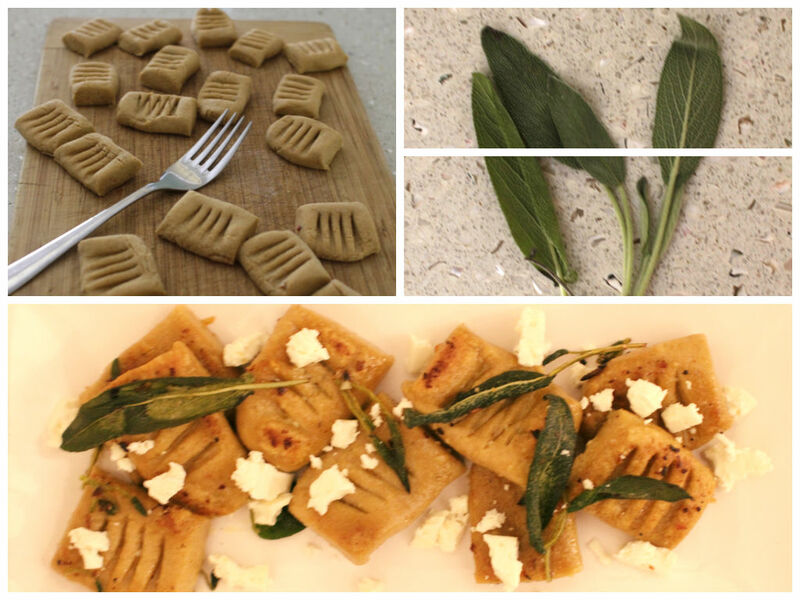 Garnish with crispy sage leaves and crumbled feta cheese.